Apple tarts (individual) - home cooked food delivered. 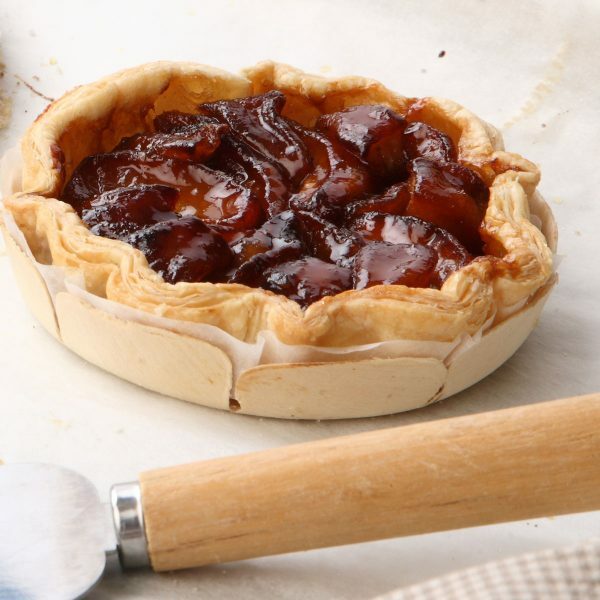 Light puff pastry tarts with a jammy apple and apricot centre, these are so tasty that you will want to order more more more right away! Perfect for afternoon tea, a treat for the kids or as the last course of a stress-free dinner party. Puff pastry (GLUTEN), sugar, apricot jam, butter, ground cinnamon and apples. Serve at room temperature or reheat gently in a low oven for 10 minutes.